Apple iPod 5th Gen (with Video) 30 GB A1136 MA002LL W/Protective Case Tested. This iPod is in great condition due to the protective case (see pictures) tested great battery life great sound and works great! IPod Classic. PRODUCT SPECIFICATIONS. Product Line Modified Item. This is a 128GB SSD (Solid State Drive) upgrade. 111GB final capacity. Mint Refurbished Apple iPod Classic 6th Generation, 128 GB, White, Upgraded with SSD Drive! This is an actual iPod. A SSD (Solid State Drive) is far better than a standard hard drive (HDD) because it’s better suited for iPods. This is a 128GB SSD (Solid State Drive) upgrade. 111GB final capacity. 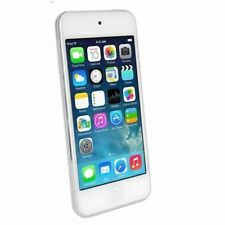 Mint Refurbished Apple iPod Video 5th Generation, 128 GB, White, SSD Upgrade! A SSD (Solid State Drive) is far better than a standard hard drive (HDD) because it’s better suited for iPods. Apple iPod classic 5th / 5.5 Generation Main Logic Motherboard - Genuine, Used. It is commonly known as the generation with the best sound quality as it uses a Wolfson based DAC and is the last iPod to do so. This model is considered the "Audiophile iPod" as the Woldfson DAC is known for it's warm and open sound signature. Apple iPod Classic 80GB Silver (7th Generation). 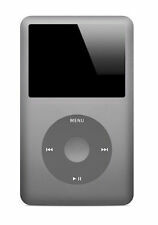 With 80GB of storage, iPod classic gives your music and video room to move. With Cover Flow on iPod classic, you can flip through your music to find the album you want to hear. Includes 1000 songs: r&b, pop, rap and reggae. 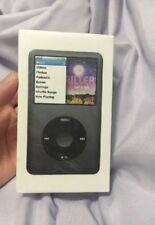 1 Apple iPod classic 5th Generation Black (60GB) - Used. iPods are in good used condition. Fully functional, light to moderate scratches. Apple iPod Classic 80GB - Black (7th Generation). With 80GB of storage, iPod classic gives your music and video room to move. With Cover Flow on iPod classic, you can flip through your music to find the album you want to hear. 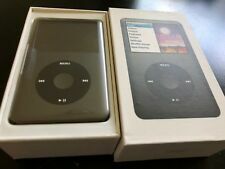 Used-Very good condition iPod Classic 160 GB 7th Generation. 64GB Flash Upgrade Service for 5th/6th/7th Generation Video/Classic iPod. Q: How much of the 64GB will be available for my iPod?. Only between 50GB to 53GB of space will be available. In addition, the upgrade reduces the weight, making it about 40% lighter. The iPod has around 40GB of music on it right now. Trending at $182.23eBay determines this price through a machine learned model of the product's sale prices within the last 90 days. 1 Apple iPod classic 6th Generation Black (80 GB). This unit is in very good used condition. Fully functional, just normal scratches. 1 iPod Glove. 1x White video 5th 60gb ipod. Apple Ipod Touch 5th Gen. Apple Ipod Classic Series. 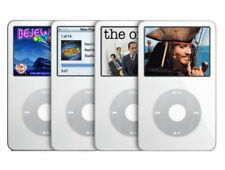 Apple Ipod Video Series. Apple Ipod Touch 4th Gen. Apple iPod Video puts your entire music and video collection in your pocket with up to 80 GB of storage. 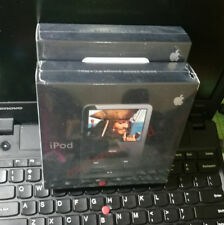 Apple iPod classic 7th Generation Black (120 GB) -Fully tested, excellent working condition 100 % fully functional. -Good cosmetic condition with light scratches. -Earbuds, usb cable included. -Please contact us if there is any issue and we will help you. You send in your iPod and We will replace your existing traditional HDD with a 512GB Flash Drive and Tarkan adapter. All 5.5 Gen iPods as well as 7th gen iPods are compatible. This is an Apple limitation on those iPods. IPod Classic 5th Gen 80 GB White Near mint condition. This ipod is factory reset and ready for your itunes. Very Good Condition. iPods is tested extensively. iPod is in good working condition. Battery works great. Comes with charger. I am always willing to listen and answer. Includes :iPod Only. &nbspBack : Great shape. Condition :Very Good. Ipod classic video 5th Generation black 30GB MP3 palyer. 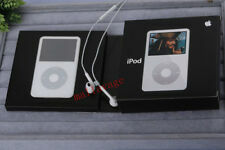 It is ipod classic video 5th generation black 30gb. 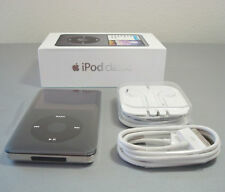 (1) New Black 256GB Classic iPod Video (5th Generation). Model # A1136. New rear cover says A1238. If you are looking for the best Apple ipod for your listening experience, this is it! It has everything!